Box Office: Did Shah Rukh Khan’s Jab Harry Met Sejal Beat Salman Khan’s Tubelight First Day Business? 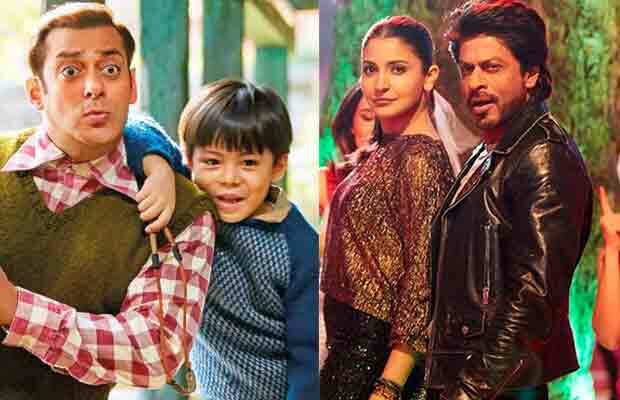 Has Shah Rukh Khan starrer Jab Harry Met Sejal managed to collected better on day one than Salman Khan’s Tubelight? Bollywood stars Shah Rukh Khan and Anushka Sharma starrer Jab Harry Met Sejal has finally entered its first day at the Box Office. Since its announcement, the film created quite a good hype. Even the promos and songs of the film were well received by the audience, Of course, with the name Shah Rukh Khan involved, Jab Harry Met Sejal was expected to set a challenge or break some records. However, that has not happened. The film, which has been released to 3000 screens, has taken a decent start on day one. Jab Harry Met Sejal has done a decent earning of Rs 15.50 crore net approx on its first day. The film has majorly performed in the big metro cities while single screens have been lower. Considering the hype surrounding the film and its star cast, the first day business of the film could have been better. Of course, with the name Shah Rukh Khan, one would expect a bumper opening. Jab Harry Met Sejal has performed similarly to Salman Khan’s last release Tubelight. With 35-40% opening on the first day, Tubelight had collected around Rs 21 crore (210 million) net on day one while JHMS has collected Rs 15.50 crore approx. Definitely, SRK’s film could not beat Salman Khan starrer despite the content appeal being to the larger audience. Now it remains to see if Shah Rukh Khan-Anushka Sharma starrer manages to grow over the weekend. If the film gets a really good push on the weekend, Jab Harry Met Sejal has chances of better surviving or its another debacle at the Box Office. Meanwhile, JHMS has at least managed to find a place in the Top-5 of 2017 with the first-day collection. The film grabs the fourth spot while Baahubali 2 stands at the first position with Rs 41 crore, following Tubelight on second with Rs 21 crore, third Raees with Rs 20.50 crore and number fifth is Jolly LLB2 with Rs 13.20 crore approx. Watch Video: PUBLIC REVIEW: Did Jab Harry Met Sejal Reach Upto The Audiences Expectations? Previous articleSara Ali Khan Not Allowed To Date Any One For This Bizarre Reason? Next articleNeha Dhupia Confesses Something About John Abraham-Bipasha Basu’s Break-Up!